One’s destination is never a place, but a new way of seeing things, said Henry Miller, the famous American writer. Though Miller was talking about life in general, this statement goes equally true for travelers as well. Any seasoned traveler would know one thing – you can turn even a place you have visited a dozen times or more into a refreshing travel experience provided that you have a knack for finding newer and lesser-known attractions. Udaipur, the City of Lakes, is a fine case in point. The kaleidoscopic beauty of Udaipur never fails to captivate and fascinate travelers. Sparkling like a jewel in the endless deserts of Rajasthan, the city has a fairyland-like aura that is hard to miss. With its Rajput-era palaces, gardens, temples, and havelis, it etches an engaging story of its heroic past. If you are visiting Udaipur for the first time, you are sure to be charmed by its star attractions, including the City Palace, Lake Palace, Lake Pichola, Bagore ki Haveli, Jag Mandir Palace, Monsoon Palace, and the like. However, this romantic city also has several lesser known and offbeat attractions that will help you explore it in a new light every time you visit. This blog is for those of you who want to take the road less traveled; for those of you who want to visit places that you otherwise would have missed out on. Let us take a look at the offbeat places to visit in the City of Lakes. 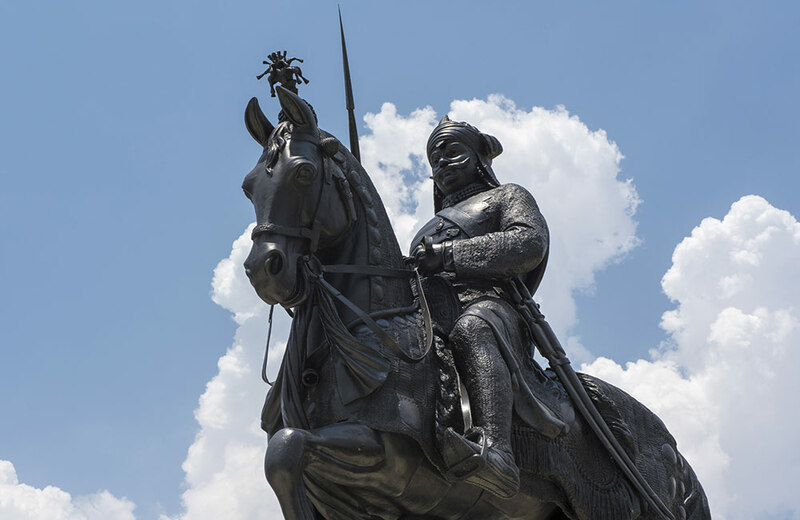 Maharana Pratap Memorial stands to represent the valor and chivalry that mark the history of this beautiful city. This low-key destination is high on scenic beauty. The memorial is built by Maharana Bhagwat Singh Mewar in honor of the legendary Rajput warrior, Maharana Pratap. It portrays the famous warrior mounting his equally legendary and loyal horse Chetak. Set in a landscaped rock garden atop the Moti Margi aka Pearl Hill, the memorial presents an excellent view of the Fateh Sagar Lake. Do not forget to carry along your camera as the place is a brilliant location to try your photography skills. It will definitely be an experience to learn a thing or two about the cars that the erstwhile Maharanas of Mewar used for their travels, right? 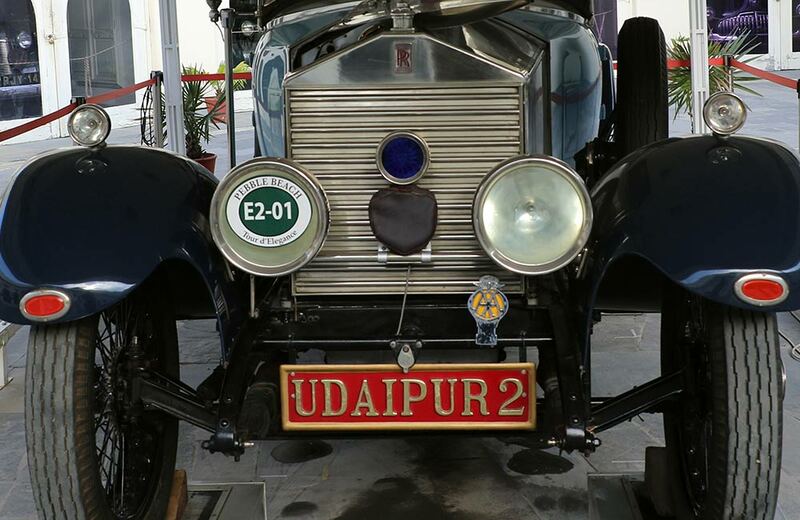 So step out of your hotel in Udaipur, step into a hired cab, and head straight to the Vintage Car Museum where you can get a glimpse of the vintage cars that used to carry the royalties in the bygone era. The museum features an impressive collection of cars, each of which is no less than 70 years old yet maintained in an impeccable condition. This vintage collection is housed in the Mewar State Motor Garage that stands in a big courtyard. If you are a car-lover or have a thing for all things vintage, this place is a must-visit destination for you! 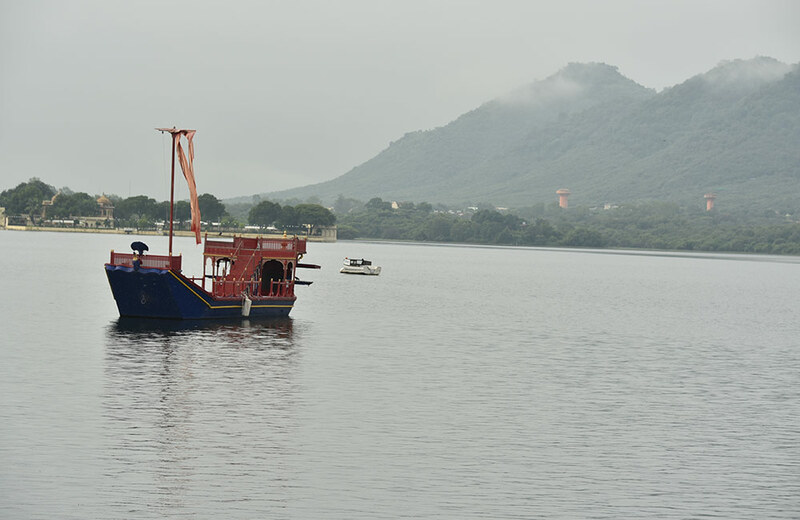 Badi Lake may not feature among the must-see attractions on your Udaipur travel map. But that doesn’t make this serene water body any less attractive. It is an artificial freshwater lake that was built by Maharana Raj Singh I as a measure against the shattering effects of a famine. The lake was named Jiyan Sagar to honor Jana Devi, the mother of the Maharana. With an embankment of 180 m and an area of 155 sq. km, the lake boasts of three beautifully created pavilions. You can easily include it in your list of places to visit in Udaipur in one day. But we are sure you will find it hard to leave behind the lake and proceed towards other destinations. Such is the charm that this lake weaves on the visitors! You can argue that Ambrai Ghat aka Manjhi Ghat does not fall strictly within the bracket of offbeat destinations in Udaipur. But there’s a reason why we are including this ghat in our list. Located on the waterfront of the Pichola Lake, this ghat offers splendid views of the City Palace. However, not many tourists make it a point to explore this attraction after the sun bids adieu for the day. Ambrai Ghat makes for one of the most fascinating places to visit in Udaipur at night. The beauty of the ghat together with its surrounding areas in the sublime night ambiance is sure to stay as a lasting memory in your mind long after you say goodbye to the heritage city of Udaipur! A far cry from the exotic palaces and luxurious resorts of Udaipur, Shilpgram is a heritage arts and crafts complex located on a sprawling land of 70 acres, with the breath-taking Aravali Mountains as the background. What’s interesting about this place is that it offers you a unique opportunity to explore the lifestyle and culture of the tribal and folk people of the area. 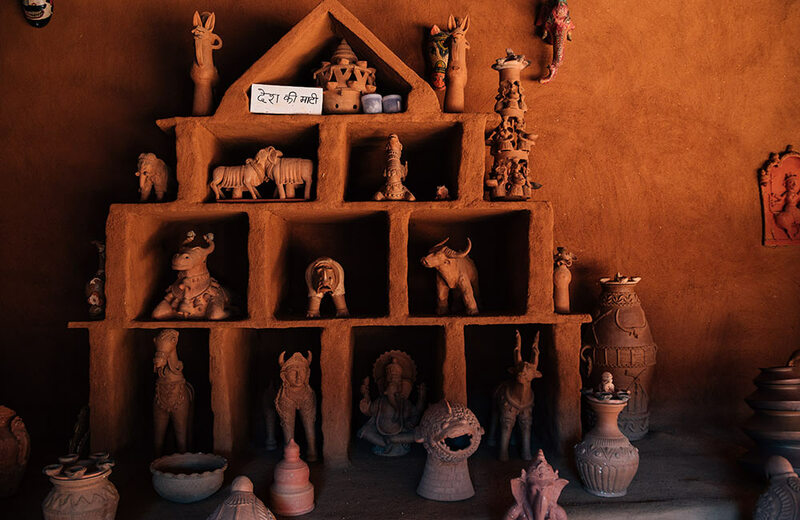 The place features traditional Rajasthani huts complete with household articles of daily use, including fabrics, metal and wooden items, terracotta, and other decorative things. If you are interested to learn a thing or two about rural arts and crafts of Rajasthan, there can be no better place than Shilpgram. If you are planning a visit in the second half of December, do make it a point to attend the annual Shilpgram Festival that takes place from 21st December to 31st December. The mesmerizing spectacle of hundreds of performers and artisans coming together and performing is a matchless thing to remain witness to! Chetak Circle is one of the most vibrant shopping places in Udaipur and a great destination to pick a few souvenirs as a memory of your trip to the City of Lakes. 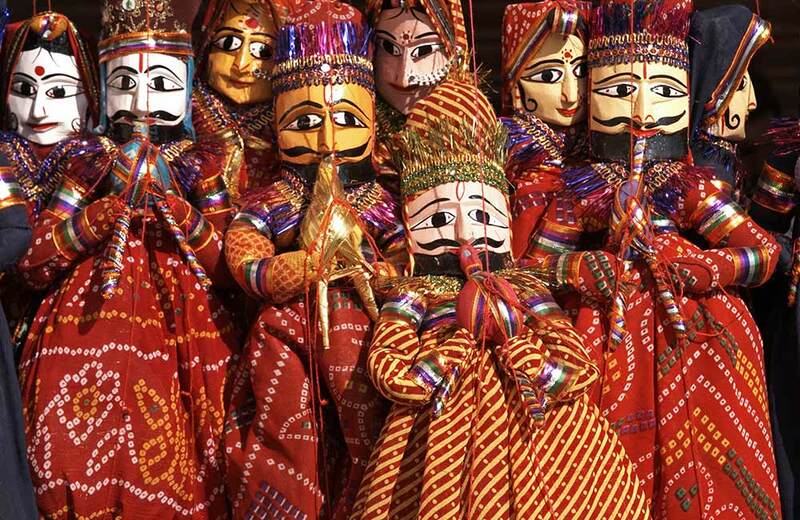 Though the market has a dizzying variety of things to choose, an item that is sure to attract your attention is the assortment of colorful Rajasthani dancing puppets for sale. You will be spoilt for choice while trying to select a couple of them from the vast lot on display. Apart from the puppets, you can also shop for traditional lanterns, wall decorations, painted wooden boxes, decorative pen stands, gorgeous pottery, silver jewelry, miniature paintings, hand-stitched paper, and a whole lot of other interesting items. While planning your Udaipur trip, make sure to keep a couple of days on hand to explore the offbeat destinations around the city as well. Trust us; you will not regret this decision, ever! 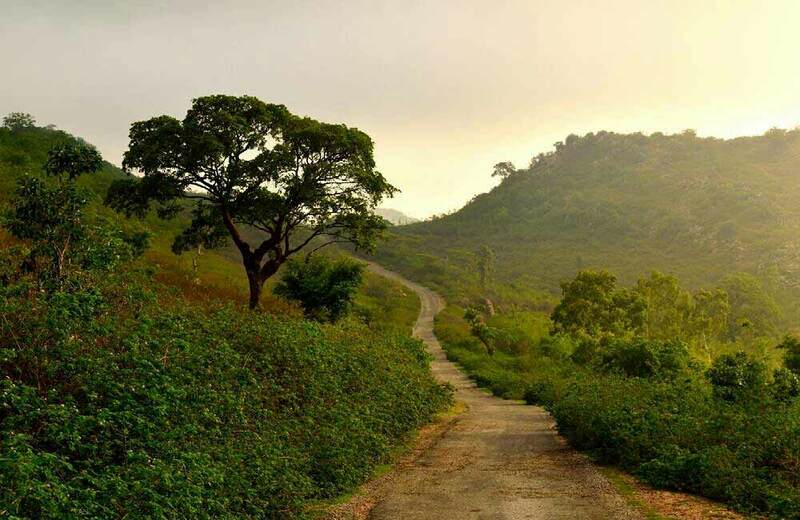 Here are some of the interesting offbeat places near Udaipur within 100 km that you must not miss out. An early 10th-century structure, the Sahastra Bahu Temple stands as a hallmark of splendid architecture and craftsmanship. The temple is dedicated to Lord Vishnu, who is said to have a thousand arms and so, the name of the temple (Sahasra Bahu means a thousand arms). Interestingly, the temple is also known as Saas-Bahu temple. If local legends are to be believed, King Mahipala built two temples adjacent to each other, one for his wife and the other for his daughter-in-law. 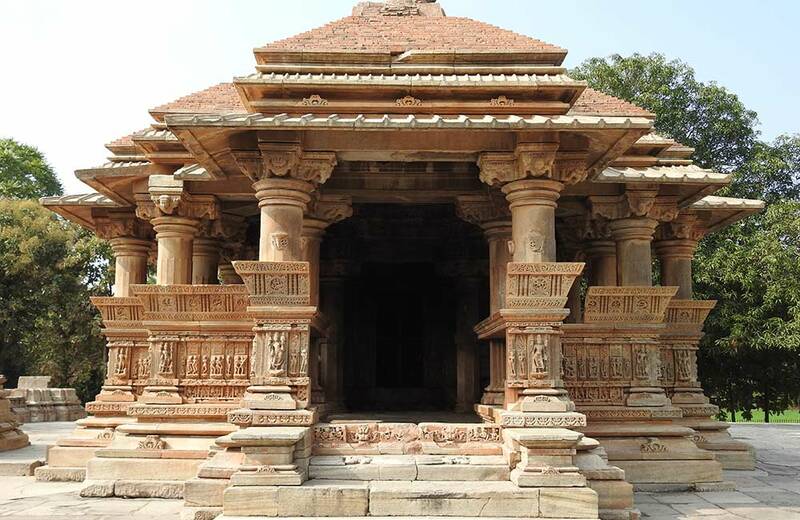 These two temples comprise the Sahastra Bahu temple complex and are known as Saas-Bahu temples. In Hindi, saas means mother-in-law while bahu means daughter-in-law. This place of worship has seen better days as compared to its ruined state today; However, it is worth a visit for its rich architectural beauty that has placed it on the list of Archaeological Survey of India’s heritage monuments. A drive of about 50 minutes towards the north-east of Udaipur will lead you to Nathdwara, a picturesque village situated on the banks of River Banas. Nathdwara means Gateway to Shrinathji, which is an apt name for the village that houses the 14th-century Shrinathji temple, one of the ancient temples of Rajasthan. This temple houses the deity of Shrinathji, an incarnation of Lord Krishna in the form of a seven-year-old child. The idol was originally worshipped in a temple in Mathura. But when the Mughal Emperor Aurangzeb embarked on destroying the Hindu temples of the region, the deity was shifted to this village. Maharana Raj Singh of Mewar built this temple to keep the deity in this place. 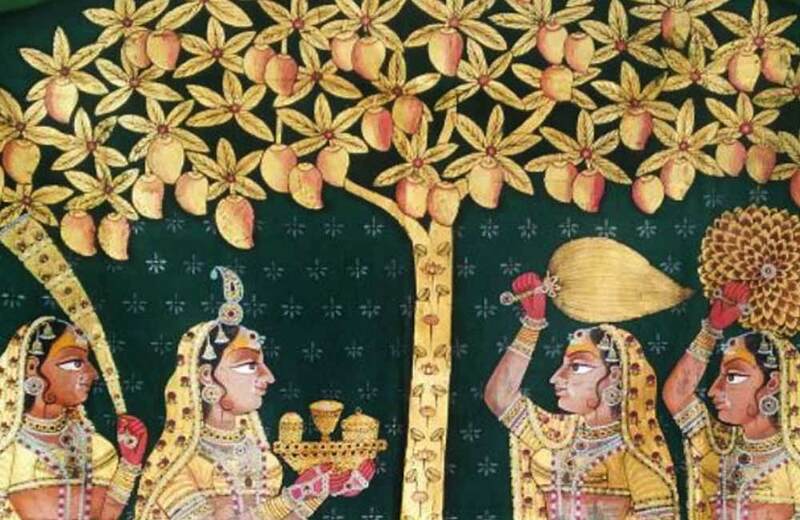 An interesting thing to note about Nathdwara is that almost all the walls of the town feature traditional Pichwai paintings. These paintings display various scenes from Lord’s Krishna’s life. Every year, the residents of the town repaint these walls before Diwali. The market at Nathdwara is also worth exploring where you can buy Pichwai paintings, terracotta products, oil-based natural perfumes, and tie-and-dye clothes. 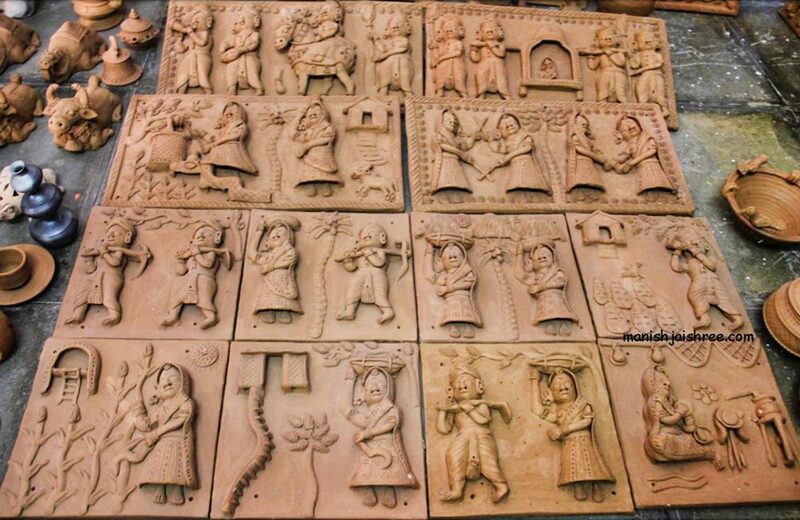 About 20 minutes west of Nathdwara stands the small and sun-soaked village of Molela, a place renowned for terracotta plaques displaying exceptional sculptures. The sculptures feature vibrant images of gods, goddess, and scenes from the village life. It is a delight to watch the artisans at work, as they breathe life into the clay structures through immaculate artistry. The works of the artisans of this village attract patrons from far off places, who travel to this tiny village to buy the sculptures. Even temple priests from other states are known to come to this village to buy plagues for worshipping at the temples in their native places. 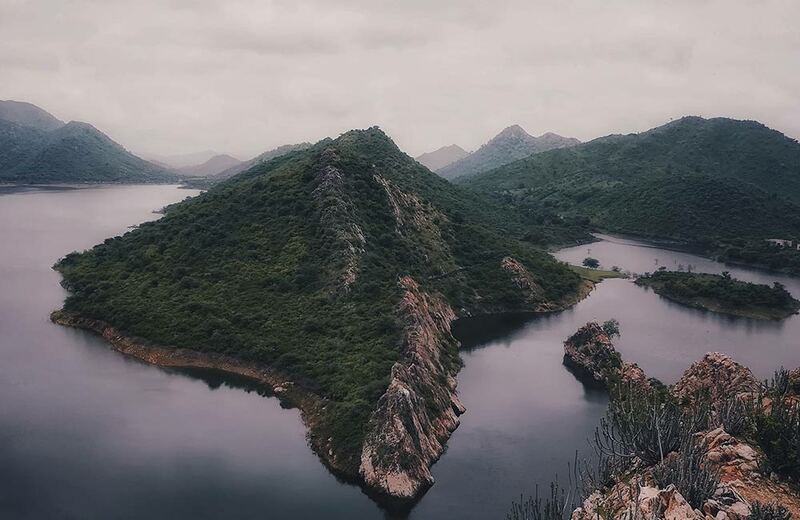 Udaipur does not feature among the top hill stations in the country, but travel about half an hour outside the city limits and you will come across one of the most enticing monsoon spots of the region – Peepliya Ji. The place is a village that can be reached through one of the most scenic rides from Udaipur. Head straight to the highest point in the village and you will be engulfed by soothing winds. If you get a chance to visit this destination during the monsoons, you will be rewarded with the breath-taking sight of monsoon clouds caressing the mountain region. The captivating view of the green valley below will be another perk of making a trip to this place! Now that you have all the information about the offbeat destinations in and around Udaipur, go ahead and plan your trip. This time, give the “must-visit” palaces and lakes in the city a miss and create an itinerary that takes you through the roads less traveled. It will change the way you see and experience Udaipur, forever!